The best way to attract and retain players may come through non-paid social channels, according to a new study by SEGA and social media analytics platform GetSocial. 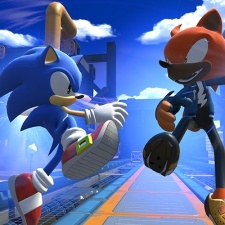 Results showed that players on iOS and Android who found their way to Sonic Forces: Speed Battle through a social media invite had 43 per cent longer retention than the average player. These users also played 87 per cent more game sessions. The most effective platform proved to be WhatsApp as it managed to pull in 47 per cent of the 40,000 players acquired through non-paid channels. The study also paid attention to the behaviour of ‘viral whales’ – a player whose social influence led to five or more installs by friends. Results showed that these ‘viral whales’ sent an average of 109 times more invites each to their friends, which made them 10 times more valuable than the regular player when it comes to snagging others through viral user acquisition. The study also found that if a player installed the game as a result of viral user acquisition that they were almost three times as likely to invite other friends. You can view an infographic with data from the study below.